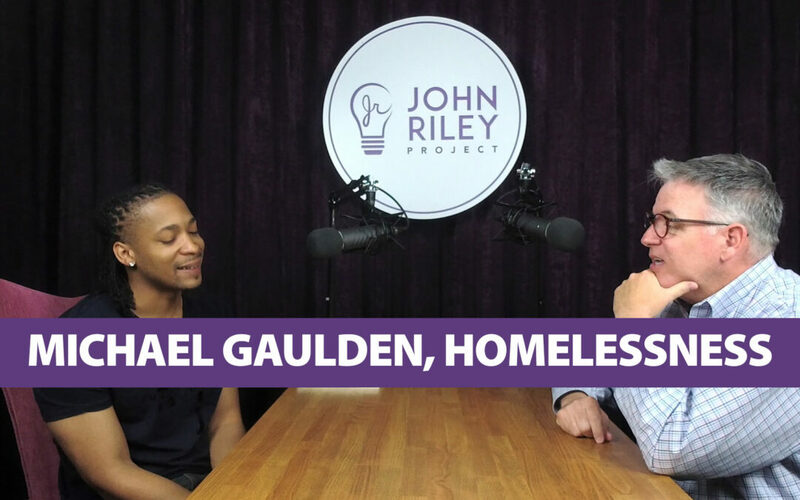 We explore the topic of homelessness with Michael Gaulden. Michael is an author, entrepreneur, community activist and advocate for the homeless. His story is remarkable. Michael and his mother grew up homeless from the ages of 7 through 17. They lived in cars, parks, shelters, stairwells and bus stations. With no money, no home and no refrigerator, he experienced severe hunger that felt like his own body was digesting itself. He and his mother relied on food from shelters, but often those resources were empty, and he was forced to beg or worse simply to survive. Michael tells the story of how he discovered education as his way out of the homeless trap. Despite making tremendous strides in learning, doing his homework under a street light, being told by adults he was doomed to fail and getting constantly teased and harassed by other children, Michael persevered and succeeded. He was awarded a full ride scholarship to UCLA and graduated with a double major in Political Science and African American Studies. Michael now focuses his life as an advocate for the homeless. As CEO of Creating First Impressions, he and his team provide resources and skills training to help struggling people find their way out of homelessness. We explore his incredible story including working as a high school student to earn enough to finally secure a stable home for his family. We learn how city leaders push the homeless out of communities and often out of town completely. We learn how in order to climb out of homelessness, the individual needs to believe in themselves first and want to make their life meaningful. With homelessness getting more attention in the local and national media, it is intriguing to hear a story of a person that experienced the struggle first hand. The homeless are not nameless and faceless. They are real people with real stories and often with great value to offer others. What can we do to help? Let’s focus in our own community. Often it just takes a friendly conversation to start the process. Reach out. Simple gestures and offerings go a long way to helping those in need get on their feet. The end result is a Win-Win outcome where the person in need is lifted up and the community overall is improved.